Tennessee baseball tallied its second win of the Tony Vitello era on Tuesday afternoon with a win over Lipscomb. Lipscomb (2-2) scored runs in five of the nine innings on Tuesday afternoon, but was unable to pull off the win in Lindsey Nelson Stadium over Tennessee (2-2). The Vols were propelled by a huge third inning performance that included six runs and a grand slam. Freshman Sean Hunley got off to a hot start in his first career start for Tennessee, striking out two of the first three batters he faced to start the game. Two walks put the outfield duo of Jay Charleston and Justin Ammons in scoring position for the Vols to start the bottom of the first inning. First baseman Pete Derkay and Andre Lipcius kicked off the scoring for Tennessee, both coming up with an RBI single to give Tennessee an early 2-0 lead through one inning. Hunley cooled off quickly in the second inning following his fast start. Lipscomb’s Josh Martinez sent a ball deep to left field for a solo home run to give the Bisons their first run of the game. Still, Hunley was able to gather himself and stop the bleeding despite Lipscomb having two runners on base. Lipscomb finally evened the score at 2-2 in the third inning after Zeke Dodson tallied an RBI on a fielder’s choice. 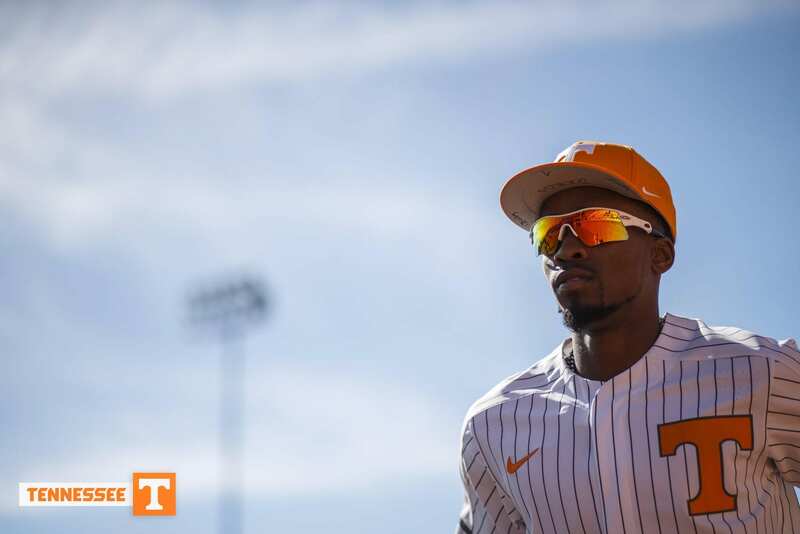 The tables turned in the bottom of the third inning, as Tennessee pulled away again with a two-run single to right field with the bases loaded from second basemen Wyatt Stapp. Then, with the bases loaded once again, center fielder Zach Daniels picked up his first hit of the season on a grand slam to deep left field to give the Vols an 8-2 lead through three innings. Lipscomb answered quickly in the top of the fourth inning with an RBI double from Tevin Symonette, who narrowed the Tennessee lead to just 8-3. Vitello and the Volunteers took Hunley out with one out and two men in scoring position as fellow freshman Garrett Crochet took over the mound. Crochet finished the fourth inning with a 6-4-3 double play to escape loaded bases from Lipscomb. The good fortune didn’t last long for Crochet, as Dodson hit a line-drive home run over the left field wall in the fifth inning to cut the Tennessee lead to 8-4. However, Crochet was able to notch a strikeout and retire the final two batters to escape the inning. Despite the loss, the Bisons scored in four of the first five innings and four straight innings from the second to fifth inning. However, Crochet and the Volunteers ended that in the sixth inning. The first inning that neither team scored finally came in the seventh inning. Lipscomb got back on the board in the top of the seventh inning with an RBI double from Dodson to cut the Tennessee lead to just three runs. After three innings, Crochet was replaced by junior pitcher Daniel Vasquez to close out the game. Crochet recorded three strikeouts, two hits and two earned runs in his time on the mound. The Volunteers failed to score in their last six innings, but it was still enough to finish off the Bisons by a score of 8-5 on Tuesday afternoon.